Canberra, Australia's capital, has about 365,000 people and has a medical school. Its health staff totals 5,122 people. Only 48% were vaccinated against the flu this year, down from 60% during the swine flu pandemic of 2009. ACT Health said there have been fewer than five deaths a year for each of the last five years in the capital, including no deaths in 2008 and 2010. So in the worst case scenario, there were as many as 12 flu deaths in Canberra in the last 5 years, or 2.4 deaths per year, or 6.6 deaths per million per year. Yet the US CDC estimate for flu deaths is 100 per million population per year. In most years, minor or major epidemics of type A or type B influenza occur, usually during the winter months. In Australia, 85 deaths and 4250 hospitalisations are notified, on average, per year, although this is almost certainly an underestimate due to failure to recognise the excess mortality and hospitalisation associated with the disease. Extrapolation from US estimates, based on more detailed surveillance, suggests 2000 deaths and 10 000 hospitalisations are likely to occur annually in Australia. Eighty-five deaths divided by 26 million Australians yields 3.3 deaths per million population per year from flu. Contrast this with 2-5 excess cases of Guillain Barre syndrome per million people vaccinated for swine flu, unknown other risks from the shot, and the net benefit (benefit minus risk) of flu vaccinations pales. So, based on US estimates, Australian deaths would be expected to be 24 times greater than the identified death rate from influenza. But Australia can't find the excess 1,915 deaths yearly. Despite a national health plan and excellent surveillance. CDC and WHO have had the same problem. As has been noted previously, vaccination is a black art, basically a trial and error process of discovery, which has the potential to either prevent or enhance disease, and therefore must be studied carefully before vaccines are administered to large populations, despite issues of expediency. Vet Pathol. 2012 Mar 28. Kinetics of Lung Lesion Development and Pro-Inflammatory Cytokine Response in Pigs WithVaccine-Associated Enhanced Respiratory Disease Induced by Challenge With Pandemic (2009) A/H1N1 Influenza Virus. Gauger PC, Vincent AL, Loving CL, Henningson JN, Lager KM, Janke BH, Kehrli ME Jr, Roth JA. The objective of this report was to characterize the enhanced clinical disease and lung lesions observed in pigs vaccinated with inactivated H1N2swine δ-cluster influenza A virus and challenged with pandemic 2009 A/H1N1 human influenza virus. Eighty-four, 6-week-old, cross-bred pigs were randomly allocated into 3 groups of 28 pigs to represent vaccinated/challenged (V/C), non-vaccinated/challenged (NV/C), and non-vaccinated/non-challenged (NV/NC) control groups. Pigs were intratracheally inoculated with pH1N1 and euthanized at 1, 2, 5, and 21 days post inoculation (dpi). Macroscopically, V/C pigs demonstrated greater percentages of pneumonia compared to NV/C pigs. Histologically, V/C pigs demonstrated severe bronchointerstitial pneumonia with necrotizing bronchiolitis accompanied by interlobular and alveolar edema and hemorrhage at 1 and 2 dpi. The magnitude of peribronchiolar lymphocytic cuffing was greater in V/C pigs by 5 dpi. Microscopic lung lesion scores were significantly higher in the V/C pigs at 2 and 5 dpi compared to NV/C and NV/NC pigs. Elevated TNF-α, IL-1β, IL-6, and IL-8 were detected in bronchoalveolar lavage fluid at all time points in V/C pigs compared to NV/C pigs. These data suggest H1 inactivated vaccines followed by heterologous challenge resulted in potentiated clinical signs and enhanced pulmonary lesions and correlated with an elevated proinflammatory cytokine response in the lung. The lung pathology and host immune response is consistent with the vaccine-associated enhanced respiratory disease (VAERD) clinical outcome observed reproducibly in our swine model. "Congressional investigators said Monday that the chief counsel’s office at the Food and Drug Administration authorized wide-ranging surveillance of a group of the agency’s scientists, the first indication that the effort was sanctioned at the highest levels. In a letter to the FDA, Sen. Charles E. Grassley (R-Iowa) said that his staff had learned that the spying was “explicitly authorized, in writing” by the agency’s top legal office. “The FDA’s actions represent serious impediments to the right of agency employees to make protected disclosures about waste, fraud, abuse, mismanagement, or public safety,” wrote Grassley, who demanded that the agency release a copy of the memo authorizing the surveillance and the name of the FDA official who requested it..."
One CDC high-containment lab (BSL-3, the level of containment required to study anthrax) fails to contain air efflux. And it was discovered because visitors touring the facility saw a puff of air exit through a slot in a door window. How long had this been going on? USAToday points out that the BSL-3 lab doors aren't always locked, either. It's a highly secured, sophisticated research lab studying deadly diseases such as bird flu, monkeypox, tuberculosis and rabies. It's in a facility called Building 18, which cost taxpayers $214 million. And now, the Biosafety Level 3 lab at the Centers for Disease Control and Prevention in Atlanta is also the subject of a congressional investigation after a potentially dangerous airflow leak at that lab, CNN has learned. The leak occurred on February 16, when air flowed the wrong way out of a germ lab into a clean-air corridor, rather than through the powerful HEPA filter that cleans the air, congressional sources and CDC officials said. Visitors touring the facility were in the clean corridor when they observed a puff of air being pushed out from the lab through a slot in a door window. In 2008, it was discovered that a high-containment lab door was sealed with duct tape. That incident was first reported by the Atlanta Journal-Constitution and confirmed to CNN by Skinner. The FDA, reprising the Justice Department, had its own criminal enterprise going. Using commercial $99.95 spy software, it was able to illegally read emails of its employees, members of Congress and their staffs, and journalists, and much more. Eric Lichtblau and Scott Shane of the NY Times report, although who authorized the illegal surveillance and who at FDA received the information are not disclosed in this article. A wide-ranging surveillance operation by the Food and Drug Administration against a group of its own scientists used an enemies list of sorts as it secretly captured thousands of e-mails that the disgruntled scientists sent privately to members of Congress, lawyers, labor officials, journalists and even President Obama, previously undisclosed records show. The FBI crime lab seems to have been run as an illegal enterprise to support desired convictions--evidence be damned--for decades. Maybe justice will now be served for some of those convicted as a result of FBI criminality. This story didn't just come out. There was a Justice Department review years ago... which let the original prosecutors review their own evidence, to decide whether to share it with the defense! Would you have shared new evidence, when overturning your successful prosecutions could destroy your career? Months after the Washington Post revealed that lab technicians at the FBI mishandled evidence, resulting in at least three wrongful convictions, the Department of Justice has announced it will review of thousands of old cases. The review, the largest in U.S. history, will focus on work by FBI Laboratory hair and fiber examiners since at least 1985, the Post reported. As an agent, Whitehurst wrote 237 letters to the Inspector General, complaining about the lab. The longest was 640 pages. “The pressure was so crazy that every so often, I’d just break down and cry,” he said. The Justice Department ultimately did review thousands of cases in response to Whitehurst's reports, Colapinto said, but he said the task force assigned to investigate operated in secret and the findings were not published. Rather, Colapinto said, prosecutors who had originally tried those old cases decided whether the new evidence should be disclosed to the defense. Dissatisfied with the Justice Department’s review, Whitehurst requested the task force's findings through the Freedom of Information Act. Over several years, he received tens of thousands of pages.Some changes were made, however. The FBI moved its lab from the FBI’s J. Edgar Hoover building in Washington, D.C. to a separate building in Quantico, Va. The National Academy of Sciences recently pushed for further independence, however. The organization, made up of elite scientists from around the U.S., recommended the creation of an independent federal agency to review evidence. That agency, ideally, should not be connected to the academic community, the scientists said. Whitehurst, now a forensic consultant and a criminal defense lawyer in North Carolina, and the National Whistleblowers Center worked with the Post for a year on the expose that came out in April. That story apparently pushed the Justice Department to conduct another, more transparent review of old evidence. The Justice Department says that this time, the review will include outsiders such as the Innocence Project, according to The Associated Press. The Innocence Project, which focuses on exonerating the wrongfully convicted, would watch over the government’s review. The FBI did not respond to request for comment. From Wired and ScienceNOW comes this very worrisome piece about how two different, attenuated live virus vaccines for infectious laryngotracheitis in chickens recombined to form a virus twice as deadly as the disease the vaccines were intended to prevent. (The death rate in chickens increased from 8% to 17%.) 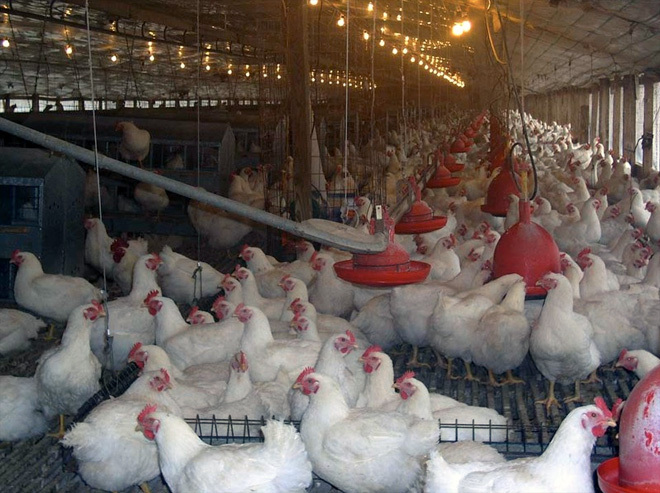 Chickens in multiple parts of Australia were affected, beginning in 2008. The new strains (termed class 8 and 9) have since become dominant, edging out the wild-type viruses. There is no comment as to whether the strains have spread beyond the island nation of Australia. Live vaccines, where a weaker version of the virus is introduced to allow the immune system to build up its own defences, are quite commonly used for animals and humans, and include polio, measles, mumps, rubella, chicken pox and rabies. The Australian Pesticides and Veterinary Medicines Authority is now consulting with industry to control the use of these vaccines. Co-researcher Professor Glenn Browning says other creatures could also be under threat of vaccines combining. "We suspect that this sort of event could potentially happen in other animal species as well and with other viruses in addition to infectious laryngotracheitis virus," he says. "So we believe that what we've seen here has potentially wider implications than just this particular disease in poultry..."
Vaccines aren’t supposed to cause disease. But that appears to be what’s happening on Australian farms. Scientists have found that two virus strains used to vaccinate chickens there may have recombined to form a virus that is sickening and killing the animals. “This shows that recombination of such strains can happen and people need to think about it,” says Glenn Browning, a veterinary microbiologist at the University of Melbourne, Parkville, in Australia and one of the co-authors on the paper. Chickens worldwide are susceptible to a group of herpesviruses called ILTV, which target their upper respiratory tract. The resulting disease, known as infectious laryngotracheitis (ILTV), reduces egg production and can kill up to one-fifth of those infected. “The birds effectively choke to death on blood and mucus,” says Browning. The disease is not known to infect any other animals other than chicken and chicken-like birds. To combat ILTV, farmers vaccinate their chickens with attenuated herpesviruses that can still infect and replicate but do not lead to disease. Australia has used two vaccines, which are produced by Pfizer and called SA2 and A20. In 2006, however, the country purchased a new vaccine from European company Intervet called Serva. Two years later, new strains of ILTV, called class 8 and 9, appeared. They are just as deadly as other strains. “But they seem to be dominating over the strains that were reported prior to 2007,” says Browning. Because the new strains appeared shortly after the European vaccine was introduced, scientists thought that the new vaccine strain might have reverted back to a disease-causing form. But when the researchers sequenced the genomes of the two new strains and the three vaccine strains, they found that the new viruses were actually stitched together from the European and Australian vaccines. Although it is not clear what mutations keep the vaccine strains from causing disease in the first place, they were probably lost when the viruses recombined, says Browning, whose team reports its findings online today in Science. “This is quite possible but a bit surprising since it would imply that both vaccines have gone into the same animal, which would be required for recombination to occur,” Paul Farrell, a virologist at Imperial College London, wrote in a statement released by the Science Media Centre. Farmers do not deliberately vaccinate with both vaccines, Browning agrees. But the SA2 strain might have spread into an unvaccinated population that was later vaccinated with the Serva strain, he suggests. The data for the recombination is “convincing,” says Walter Fuchs, who heads the National Reference Laboratory for Infectious Laryngotracheitis of Poultry on the island of Riems in Germany. The combination of vaccine strains to form a new virus is “a problem that needs to be taken seriously,” adds Thomas Mettenleiter, head of the Federal Research Institute for Animal Health also on Riems. Only well-characterized live vaccines, rendered harmless by mutations in the same or overlapping regions, should be used in order to minimize the risk of recombination to a new virulent strain, he argues. Live-attenuated vaccines are also used in humans, but a lot less than in poultry, and their sequence is usually known. “This is not a panic-button on vaccines,” says Browning. And Farrell stresses vaccines have been one of the great success stories of medicine. “The type of important technicality raised in this article should not be allowed to detract from the enormous health benefit generally provided by vaccines,” he wrote. According to Reuters, the US ranks close to the bottom on a number of healthcare indices, compared to the 33 other countries in the OECD (Organization for Economic Cooperation and Development). Of course, the US ranks at the top in terms of cost: 17.9% of GDP is spent on healthcare in the US. There is one other category in which the US ranks first: 90 percent of U.S. adults aged 15 and older describe themselves as being in good health versus an OECD average of 69.1 percent of citizens in the other OECD countries who said they were in good health. Got that? For infant mortality, we rank 31st. For life expectancy, we rank 27th. For both doctors per capita, and doctor visits per capita, we rank 29th. For hospital beds per capita, we rank 30th. For percentage of people with health coverage, we rank 31st. Only Mexico has a higher rate of diabetes than the US, and no country has more obesity than we do. But Americans think they have the best health, and think they have the best healthcare in the world. This paradox is why the system keeps getting worse (by the indices cited) as it gets more expensive. Go figure. “So a $3 billion settlement for half a dozen drugs over 10 years can be rationalized as the cost of doing business,” Mr. Burns said. WASHINGTON — In the first public accounting of its kind, cellphone carriers reported that they responded to a startling 1.3 million demands for subscriber information last year from law enforcement agencies seeking text messages, caller locations and other information in the course of investigations. The reports also reveal a sometimes uneasy partnership with law enforcement agencies, with the carriers frequently rejecting demands that they considered legally questionable or unjustified. At least one carrier even referred some inappropriate requests to the F.B.I. The information represents the first time data have been collected nationally on the frequency of cell surveillance by law enforcement. The volume of the requests reported by the carriers — which most likely involve several million subscribers — surprised even some officials who have closely followed the growth of cell surveillance. With the rapid expansion of cell surveillance have come rising concerns — including among carriers — about what legal safeguards are in place to balance law enforcement agencies’ needs for quick data against the privacy rights of consumers. Legal conflicts between those competing needs have flared before, but usually on national security matters. In 2006, phone companies that cooperated in the Bush administration’s secret program of eavesdropping on suspicious international communications without court warrants were sued, and ultimately were given immunity by Congress with the backing of the courts. The next year, the F.B.I. was widely criticized for improperly using emergency letters to the phone companies to gather records on thousands of phone numbers in counterterrorism investigations that did not involve emergencies. David Willman does another deft job with the story of BioWatch, hopefully in time to influence the upcoming purchase of BioWatch's next generation of detectors. None have yet worked as billed. The "detectors" are simply air samplers: filters attached to vacuum tubes. The filters have to be collected, then tested elsewhere using PCR devices specific to each microbial pathogen of concern. The PCR (polymerase chain reaction) devices theoretically ought to be specific enough to distinguish deadly germs from related, but benign relatives. The fact that they don't, suggests that the idea behind the system is flawed. Why waste billions on the next gen device, when the theoretical underpinning of BioWatch is a failure? "I can't find anyone in my peer group who believes in BioWatch," said Dr. Ned Calonge, chief medical officer for the Colorado Department of Public Health and Environment from 2002 to 2010. "The only times it goes off, it's wrong. I just think it's a colossal waste of money. It's a stupid program." Previous reports on the BioWatch program by the Institute of Medicine, the DHS Inspector General and GAO couched their criticisms in understatement, but said the same things as Willman. However, the BioWatch boondoggle does allow our leaders to claim they are protecting us: and that may be enough to continue the program.